Info: Chili and Beer, what else is needed? Also featuring plenty of live bands. See the flyer HERE. Info: Typical swap meet; generally pretty good turnout. Time: Gates open at 10 am with blessing at 3 pm. Info: All gate proceeds will benefit Lakeshore Habitat for Humanity. The event features live rock and blues music by Class Act and a silent auction. Food vendors are on-site and merchandise vendors are also invited. A local car club is there to show off their rides, providing widespread audience appeal. We encourage all bikes that are “classics” and “customs” to pay a $10 entry fee to enter their motorcycle for a chance to win the “Bikers Choice” and Best Vintage Bike (25 years or older). Winners receive a trophy and cash prize. Look for the directional signs when you enter and park in the “VIP” section. See the flyer HERE. Time: Registration from 10:00 – 11:30 am, kickstand up at noon. Info: Pig roast with vendors on site and live music by Clearwater. 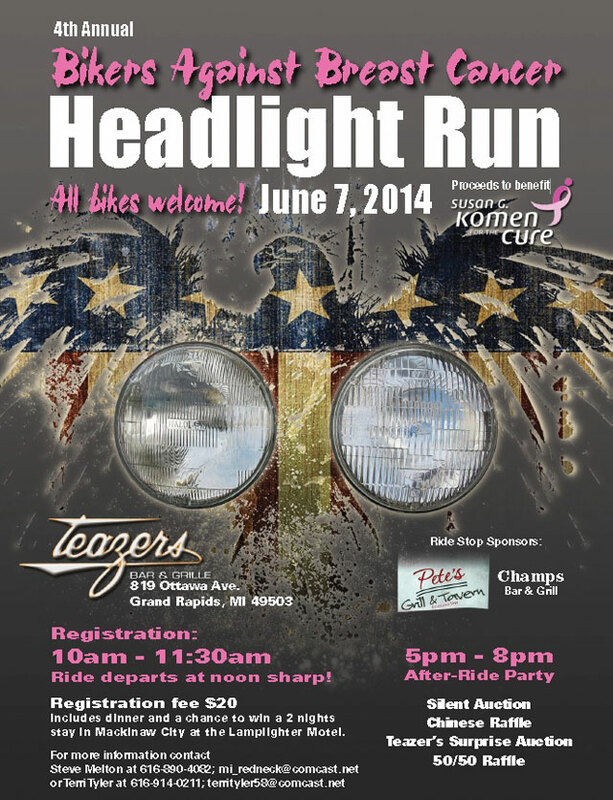 All the proceeds benefit Catholic Charities, Lakeshore Pregnancy and MI-COPS. 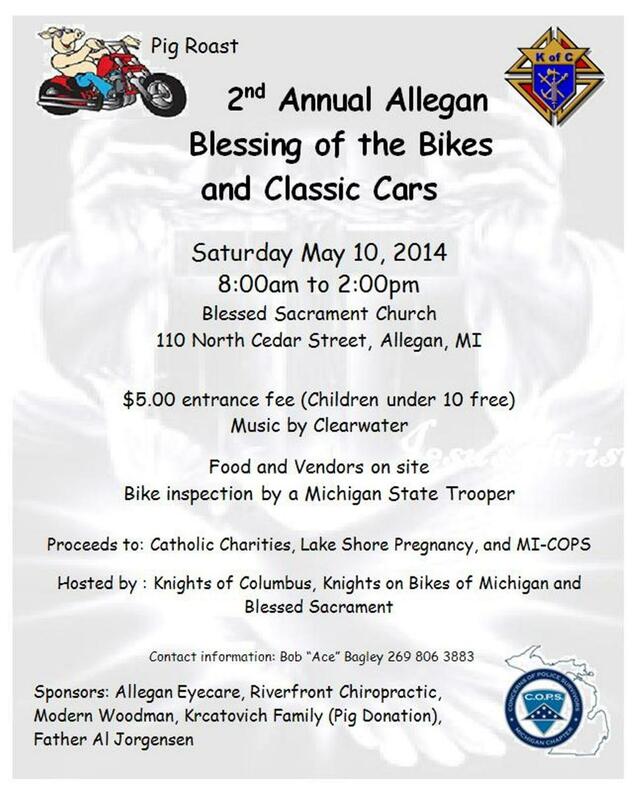 Event is hosted by the Knights of Columbus, Knights on Bikes of Michigan and Blessed Sacrament. See the flyer HERE. Info: The oldest and probably largest blessing in Michigan. This small Northern Michigan town is all bikes for three days. The airport where the blessing occurs is a mile or so south of Baldwin. On Friday bars in the area get pretty full with live music, port-a-john drag races, events and more. Also by Friday all the vendors will be set up as well. There are a few spots for the vendors: the largest amount is on Main Street in Baldwin with a few others by the airport and the rest in the parking lot of Houseman’s Grocery Store about a half-mile north form the Airport. 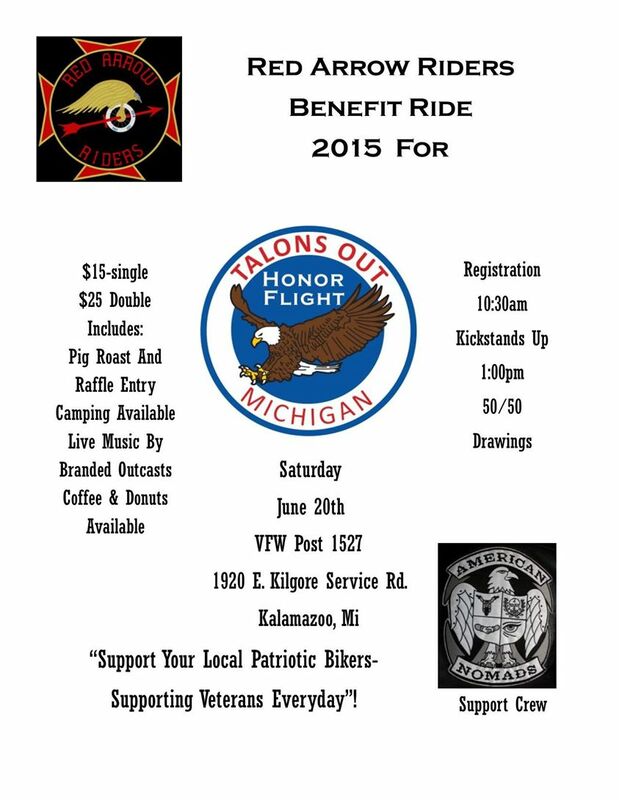 There is usually at least one poker run or two Saturday with one sponsored by the Am Vets. This is one of my favorite rallies (Weather Permitting!) 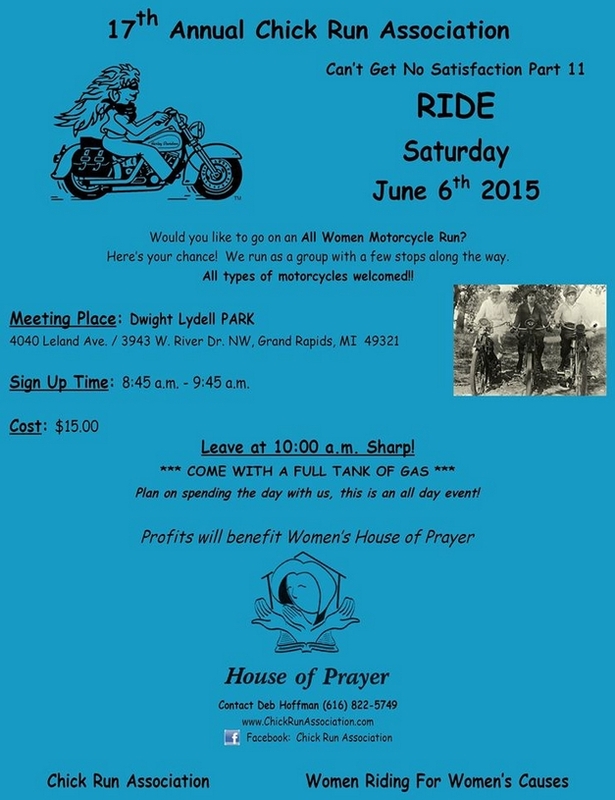 The actually blessing is Sunday, May 18th at the airport and sponsored by the Para Dice Motorcycle Club. Gates open at 9 am and depending on the turnout the event will commence around 2-3 pm. It is not uncommon to have a wait starting on the main street and stretching a few miles. Please add the following event to your June 2015 schedule. We were on last years schedule. Event Description	The motorcycle parade leaves at 10:30 am from Macy’s parking lot at the Crossroads Mall (Portage, MI). The 10 mile motorcycle police escorted parade ends at Mt. Zion Baptist Church in Kalamazoo (120 Roberson St.) and the blessing begins at 12:00 pm. There will be food, fun, music, door prizes, and vendors.